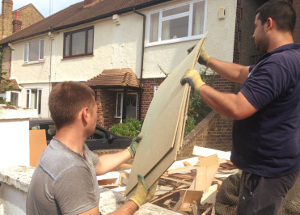 Residential & Business Rubbish Removals NW7 Mill Hill | RDA Cleaning & Maintenance Ltd.
Are you looking for residential and commercial rubbish removals service? Then, you need our professional rubbish removal Mill Hill NW7 company by your side. RDA Cleaning & Maintenance Ltd. is the right choice! Do not hesitate and rely on us today. Contact our professional rubbish removals customer support representatives right away! Use this phone number: 020 3404 1646 to get more detailed information or to arrange your service. Note that we are available for emergency services and same-day reservations, too! Re-scheduling is possible and 100% free within a reasonable time. RDA Cleaning & Maintenance Ltd. is a well-known professional waste collection Mill Hill NW7 company. We know and always apply the most optimal formula for disposal wasting in your home or in your office space. The experienced technicians are trained to handle each individual case with a personal approach. Once they check out the junk you want to deal with it quickly, they will make you an offer. Only after decent negotiations about the correct date, the final price depending on the junk size, the transportation route and the details for the packing, the contract is signed. Note that you do not have to provide us any bags, cardboard or other packing materials. We only need some parking space to leave the van with all the necessary materials we will bring. The truth behind the success of each waste disposal Mill Hill NW7 performed by our company is that we send only well-trained and educated technicians. We have hired decent workers with rich experience on the market. We provide them additional qualification and we test their skills in real time to make sure the customers receives the top assistance they deserve. The removal technicians are insured, so your place is at safe hands. In case of any damage or loss, we cover the omissions. Still, these are very rare cases of accidents. The service has a wide coverage across the UK and our company has no day-off. We are available for your reservations 365 days per year with no holiday or weekend exceptions. While you are relaxing, the helpful rubbish collection Mill Hill NW7 technicians will do the entire job. No need to move or dismantle anything! The experienced technicians will dismantle all the big furniture and junk and pack the pieces, themselves. If you have more doubts or details you to get, contact us and we will arrange the professional junk removal service in a most convenient for you time and way. If professional rubbish removal service in Mill Hill NW7 is a must for you, you are just on the right place. Dial this phone number: 020 3404 1646 and reach our kind customer support representatives. Arrange rubbish removal service now! Restore the order around you and eliminate the last sign of the chaos right away!